Love cooking, but have days you don't know what to cook or even want to go shopping? 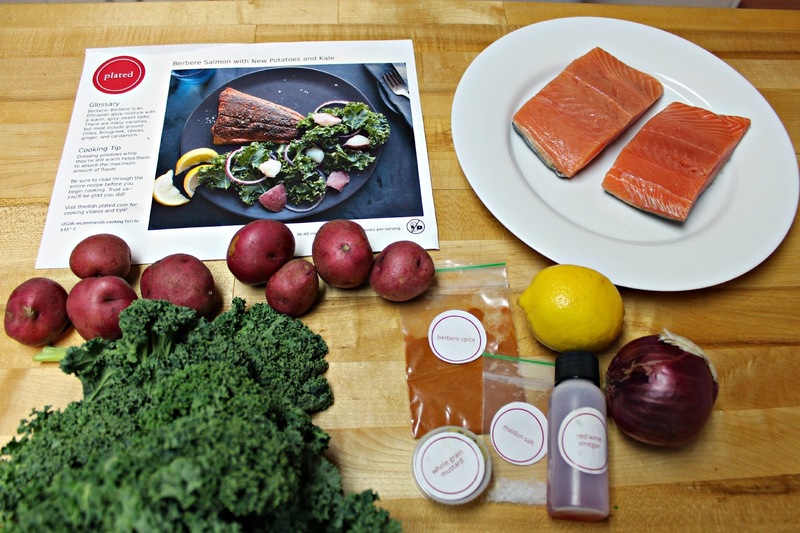 Well let me introduce you to Plated, Chef-designed recipes & fresh ingredients deliver to your door. Best box ever! So it probably sounds like they are paying me to say that, but it's not the case. A few weeks ago on saw one of their promoted Ads on Facbook (yes they work sometimes) and clicked through to see what it was all about. I'm so glad I did. So how does Plated work? Browse and pick a dish or a few. Each week there are 7 new chef-designed recipes on the menu. The menu ranges from meat, fish and vegetarian dishes. Pick a delivery date. Dates vary and are based by where you live. Lucky us, one of our delivery dates is Friday perfect after a long work week! Plates are $12-15 each based on whether or not you have a monthly membership. There's no monthly minimum. The membership is totally worth it for only $10 a month you can order as many plates for $12 each and not pay shipping. Prepare Ingredients: Peel onion and dice. Mince garlic. Pell ginger with a spoon and mince. Rise cauliflower and break into 1 1/2-inch florets. Peel carrot and cut into 1/4-inch dice. Wipe mushrooms clean with a damp paper towel and quarter. In a small bowl, whisk together vegetable base with 1 cup water. Saute Vegetables: Heat 1tbsp olive oil in a large high-sided pan over medium heat. when oil is shimmering, and onion and cook until soft and translucent, about 3 minutes. Add garlic and ginger and cook until fragrant, about 1 minute. Add cauliflower, carrot, and mushrooms, stir, and cook until beginning to soften, about 7 minutes. Season Vegetables: Add tomato paste and garam masala. Cook, stirring, until vegetable are coated completely, about 2 minutes. Taste and add salt as needed. 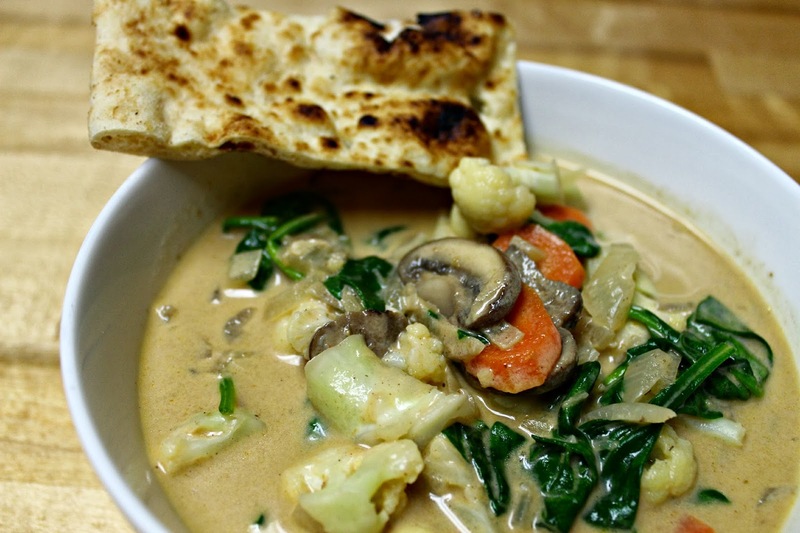 Simmer Curry: Add vegetable base mixture and 1 cup coconut milk and stir to combine. Increase heat to high and bring to a boil. When boiling, reduce heat to low and simmer until curry thickens, about 8 minutes. Toast Na'an: Meanwhile, heat a medium pan over medium heat. When pan is just smoking, add na'an and toast until charred and warmed through, about 2 minutes per side. Prepare Ingredients: Peel onion and thinly slice. Rinse potatoes and quarter. Rinse kale and tear leaves into bite-size pieces, discarding stem. Cut lemon into 8 wedges. Cook Potatoes: place potatoes in a medium pot and cover with cold water. Add a generous pinch of kosher salt and bring to a boil over high heat. Cook until fork tender, about 10 minutes. Drain and set aside. Marinate Onion: Meanwhile, in a medium bowl, toss onion with red wine vinegar. Set aside to marinate at room temperature for 5-10 minutes. Cook Salmon: Rinse salmon and pat dry with paper towel. season with berbere, kosher salt, and peeper, pressing to adhere. Heat 1 tablespoon olive oil in a medium pan pover medium-high heat. When oil is shimmering, add salmon, flesh-side down, and cook until golden, about 3 minutes. Flip and cook until skin is crisp, 3-4 minutes more. 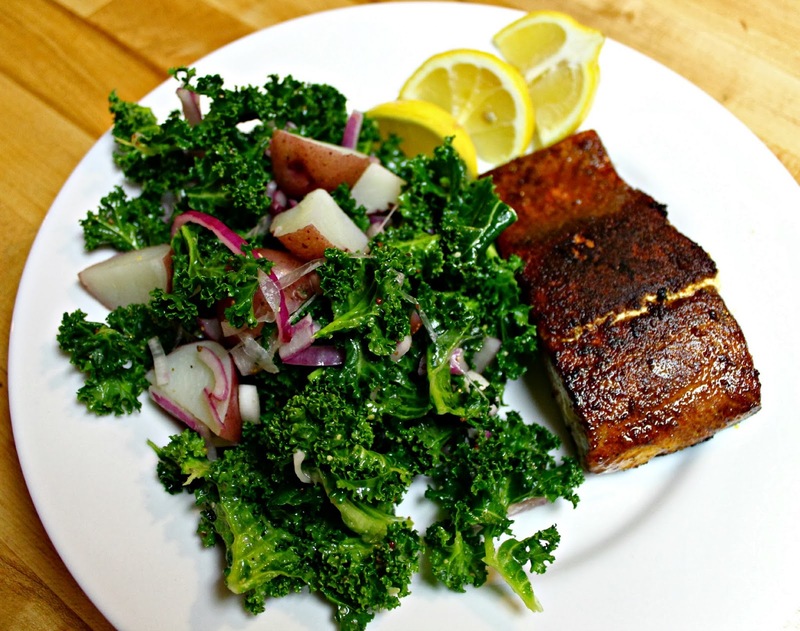 Plate Salmon: Divide potatoes and kale evenly between 2 plates. Top with salmon and garnish with lemon wedges. Sprinkle Maldon salt over salmon and serve. 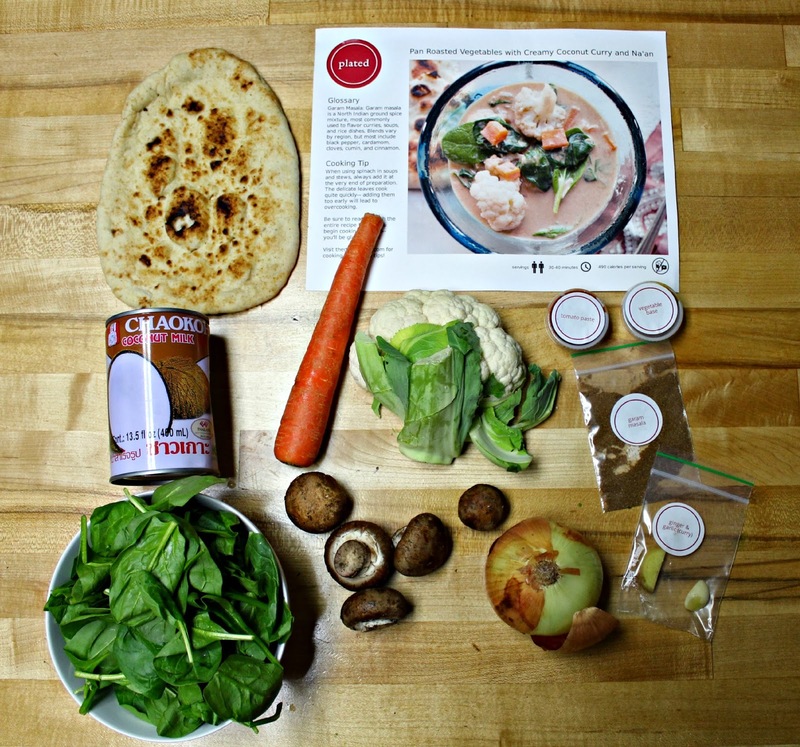 I love the concept behind Plated. They take the stress out of cooking amazing dishes. What make this box different from all the others? You can actually choose what you would want to receive, when you want to receive it and how often. Moving forward I could see us ordering 2-4 meals over the course of a month. What are you waiting for, unleash your inner chef today. Order here. This is such a cool idea! I will have to look into this - how are the portion sizes? I was pleasantly surprised by the portions. Honestly I was expecting them to be smaller, but we've had enough for at least three meals.